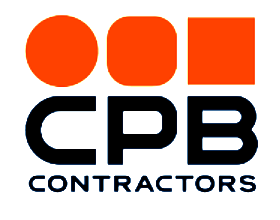 CPBJH JV brings together two of Australia's leading construction partners, CPB Contractors and John Holland, with unparalleled expertise in large-scale and complex project management, civil construction, traffic management and tunnelling. The West Gate Tunnel is a partnership between the Victorian Government and Transurban. The Joint Venture has been chosen as the preferred contractor for construction, which will begin in 2018 following planning assessment. Actively looking to attract and promote women into non- traditional roles and putting support structures in place to help them succeed. To support the delivery of the West Gate Tunnel Project we are looking for a Training Officerwith experience in large scale precast or manufacturing projects to join our Precast Manufacturing team in Benalla. The Training Officer will be accountable for coordinating and consulting with the on-site team to deliver relevant training to employees to allow the employees to deliver precast concrete elements in accordance with project plans and specifications. This is an exciting opportunity to play a key role in the largest Precast Manufacturing Facility in Australia and be part of the team supporting the West Gate Tunnel Project. During peak production, up to 1500 tonnes of concrete per day will be produced with a workforce of up to 300 people. Build strong internal and external stakeholder management through positive, proactive and professional communication to keep key personnel informed. Identify and mitigate risks prior to works commencing, communicate with and engage relevant stakeholders to control risk and contribute to build a risk management culture. Assist in the selection, train and develop leading hands and ensure the observance of safety, other work standards and fair and reasonable application of industrial agreements. Maintain effective consultation with various workers’ representatives and committees on industrial and safety subjects handling issues as they arise and referring major issues to the Project Manager. 10 + years experience within a similar environment. Previous experience managing standalone precast facilities, producing a variety of products. People and performance management experience, including the performance of subcontractors. Experience in the analysis of and reporting on productivity, compliance, defects and/or non-conformance. CPBJH JV is committed to equal employment opportunity (EEO) and actively seeks to remove barriers people may face in gaining a successful position on the West Gate Tunnel Project. We value diversity in our team and people who share our values of authenticity, respect and excellence are encouraged to apply. CPBJH JV brings together two of Australia&#39;s leading construction partners, CPB Contractors and John Holland, with unparalleled expertise in large-scale and complex project management, civil construction, traffic management and tunnelling. - Actively looking to attract and promote women into non- traditional roles and putting support structures in place to help them succeed. To support the delivery of the West Gate Tunnel Project we are looking for a **Training Officer**with experience in large scale precast or manufacturing projects to join our Precast Manufacturing team in Benalla. The Training Officer will be accountable for coordinating and consulting with the on-site team to deliver relevant training to employees to allow the employees to deliver precast concrete elements in accordance with project plans and specifications. - Build strong internal and external stakeholder management through positive, proactive and professional communication to keep key personnel informed. - Identify and mitigate risks prior to works commencing, communicate with and engage relevant stakeholders to control risk and contribute to build a risk management culture. - Assist in the selection, train and develop leading hands and ensure the observance of safety, other work standards and fair and reasonable application of industrial agreements. - Maintain effective consultation with various workers’ representatives and committees on industrial and safety subjects handling issues as they arise and referring major issues to the Project Manager. - Qualification in Workplace Training. - 10 + years experience within a similar environment. - Previous experience managing standalone precast facilities, producing a variety of products. - People and performance management experience, including the performance of subcontractors. - Experience in the analysis of and reporting on productivity, compliance, defects and/or non-conformance.